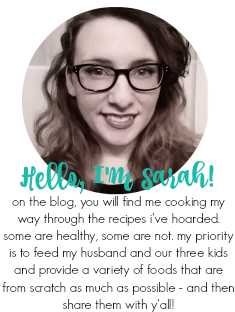 Recently, I joined NetGalley. Over on my personal blog, I blog book reviews - usually a couple a week. I love reading. A few of the titles I've been approved for are cookbooks. I figured my opinion would matter more here on my food blog for the cookbooks, so in the next few weeks you'll see a few of the cookbooks I'm currently cooking out of from NetGalley. A big thank you to NetGalley and University of Akron Press for letting me get my hands on this one! Famous Chefs and Fabulous Recipes follows the journey of Zona Spray and her Western Reserve School of Cooking in Hudson, Ohio. Zona was a very interesting lady - she was very frugal and didn't like to waste anything. She was friends with Julia Child and even tried to get her to come teach a little (although Child was very busy and was unable to do so). The other thing that I found incredibly fascinating is that Zona took chemistry classes because she wanted to learn about what certain ingredients and mixtures of them do. It reminded me a bit of how Alton Brown educates on Good Eats - and I love that. The chemistry behind cooking is mind-blowing to me. Zona comes off as a very inspiring and passionate woman - and those are two very important factors, in my opinion, you'd look for in a person teaching you how to cook. 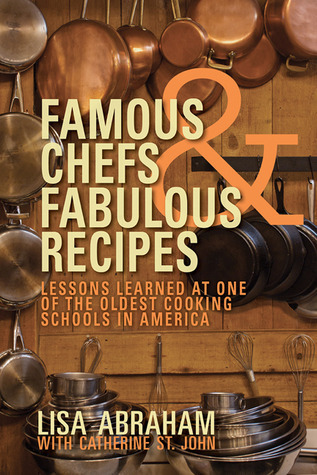 As the print on the front cover says, it is one of the oldest cooking schools in America. The really neat thing about this cookbook is that while it is a cookbook, it is also a history. Many of the chefs who have come through the school talk about their journeys too. I was very excited to see Michael Symon, who you all may have heard of, talk about his time there. Of course, I couldn't wait to try some of the recipes! We only made two, although I have plans to make two more in the immediate future. Unfortunately, I did not get a picture of one of the recipes I made. I'm not going to lie, it's because we devoured it. The recipe is called Chocolate Honey Almond Crunch and it is a bark candy type recipe. You make a layer of sugary honey and rum flavored almond goodness and then top it with chocolate and then roasted almonds. It was gone so quickly! I could not stop myself from eating it! This recipe can be found on pg. 62 and I highly highly recommend it. The next recipe I made was the Wedding Soup featured on pg. 220. This was one was a given for me because my husband has been begging me to make him wedding soup for months now. He gave it two big thumbs up! I thought it was great too. I really love the combination of spinach with meatballs. Overall, this gets a 4-utensil rating. It is full of recipes and full of a really great history of an iconic American cooking school. It can be purchased on Amazon and Barnes & Nobles.